As far back as I can remember I’ve had an interest in the spiritual, mystical and philosophical realm of life. In some ways, I had no choice. My life contains a number of experiences that led me toward this path, from near death experiences such as being kidnapped and almost sacrificed to (alleged) gods as a child, to accidentally consuming life-threatening, psychedelic herbs as a toddler (and perhaps less accidentally as a teenager, ;). Anyway, the defining moment in my spiritual journey happened circa twenty years ago, when an automatic writing experience set me off on a path of exploring the unknown. However, it was always clear to me that my journey of exploration would be epistemological as much as it would be spiritual. Later, I have come to believe that the two are not separate. Spiritual enlightenment and wisdom are the same thing. Or, put it this way, true spirituality is “merely” an expression of profound wisdom in practice. Not only is there a dimension of wisdom to spirituality, there is a political dimension too. Which is perhaps why it became urgent for me to study African spirituality, and particularly the pantheon and practices of Yoruba cosmology since as a Yoruba these are most easily available to me. But although the seven points listed below are largely informed by Yoruba spiritual thought, I have included inspiration from around the continent. Moreover, African spiritual systems — Vodun, Dogon, Kemetism, — share so much in common that one may to some extent generalise. So what are some of the key things that most people don’t know about African spirituality? That it is feminist. In almost all African creation myths, the female and male elements are equal. There is no overarching Supreme Male God. In fact, if anything, there are traces of history that suggest that all Africans once worshipped a mother-goddess. 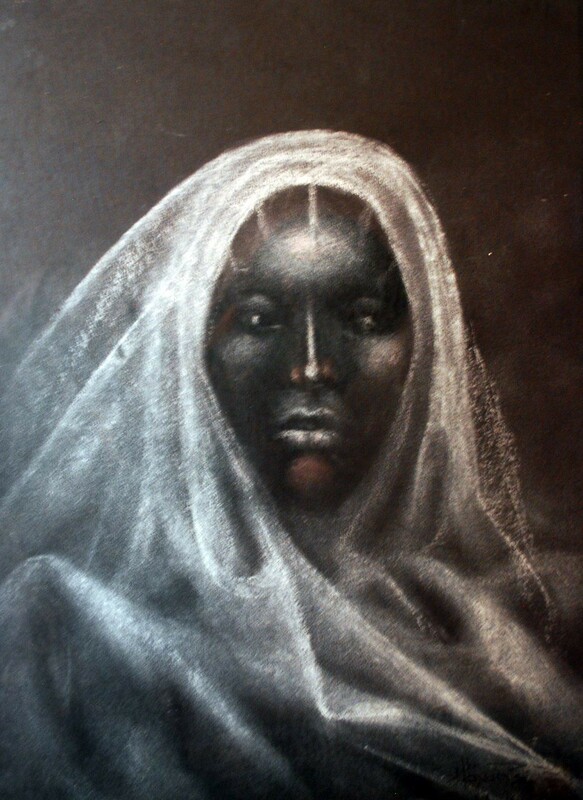 In the Yoruba spiritual system the creator of all, Olodumare, is sometimes said to be male, sometimes female. Furthermore, Olodumare is not almightily worshipped. Instead, Olodumare is said to have created deities whom people can worship and interact with. These deities are called Orishas and they too can be female and male. Which is not to say that there is always gender harmony among the pantheon of Yoruba deities. Hardly! Yoruba spirituality is a reflection of reality and the Orisha, like the humans over whom they govern, get into all number of kerfuffles concerning gender. But the mythology surrounding them is feminist because it unfailingly portends a crisis if harmony is not sought. Although there is a tendency nowadays for women to associate with female Orisha such as Oshun and Yemoja while men associate with the male Orisha like Shango and Ogun, this is a western-influenced binary gendering of the spiritual system, and in my view a great loss. Women can especially find value from the energy of the male Orisha and men can benefit greatly from associations with the female Orisha. That it is nature- and species egalitarian. The Orisha, like many of their counterparts in other African spiritual systems (the earth goddess Asase Yaa in Ghana, Dzivaguru in Zimbabwe, Mamlambo in South Africa), are anthropomorphistical of nature elements. To give some examples, Yemoja is the spirit of the ocean personified, Oya is the energy of the winds personified and Shango, the force of thunder. Once a person is inculcated in the system of Orisha veneration, they would therefore treat nature with compassion. Similarly, animals are not viewed as inferior to humans because we all depend on nature in equal manner. By contrast, animals are often seen as companions who in African myths even can occasionally marry humans and produce children who are both human and animal. Animals are also seen as teachers, who each have a specific lesson to teach. The tortoise, for example, teaches how to watch out for sly and mischievous behaviour by itself being guilty of that. Anansi the Spider in the Ghanaian tale, similarly teaches about mischief if more positively. That it encourages happiness. Unlike organised religion, which dogmatically reinforces ideas of sinfulness and shame, African spirituality is not dogmatic, it does not have one single messiah who dictates exactly how spirituality must be expressed. Instead rituals and customs can be practiced in correspondence with all the characteristics of human behaviour. Therefore rather than punish practitioners for destructive emotions, it warns them against the impediments to joy that are caused by things such as dishonesty and greed. Nor is the body and the physical sensations it produces seen as shameful. This is also why it encourages happiness. Because the key message is to act with higher consciousness from a place of self knowledge, which you could argue is the source of happiness. That it does not have heaven or hell. In a similar vein, African spiritual philosophies have no heaven or hell. This is in large part to do with the fact that African spiritualies do not believe that there is such a thing as death. Nor are the souls of the departed punished for their sins in hell by a Manichean devil. Rather, the dead are believed to live among us either in transmigrated form or on non-physical planes of the cosmos. According to the Yoruba, the human spirit is triple layered — force/breath, shadow and spirit (emi, ojiji and ori). The Zulu have a similar triad — idlozi (guardian spirit), umoya (breath) and isithunzi (shadow). While these elements are in constant flux between different realms, all realms exist on earth. There are celestial concepts such as Orun Rere and Orun Buburu (Yoruba) that have been translated to mean heaven and hell but from what I’ve studied, they are actually both part of the same divine space. That it is about resistance. The spiritual practices of Africa have developed in line with the continent’s history. From the earliest civilisation of the world, Kemet, foreign invasion has always been a factor of African life. Therefore, African spiritual systems always served as much as a means of resistance as of a means of religious elevation. For example, the Shilluk (Sudan) creation myth says that God (Juok) created people from the earth using white clay for white people, brown earth for Arabs, and the best fertile black soil of the Nile for Africans. Well, Juok sounds like a Black Consciousness God to me! In the diaspora too, African spiritual spaces (Candomblé, Santeria, Oyotunji Village) developed into a means of strategically resisting persecution and abuse as much as a means to sacred belonging (which are not mutually exclusive, because as I argued earlier, spirituality and wisdom are near synonymous). That it is the definitive compendium of African history. African spirituality is the greatest resource of knowledge about African history. After all, African history before the tragedy of colonialism is largely oral, and the existing repository of oral history is on the other hand largely spiritual. Ritual is therefore a mimetic reading of not only spirituality but also of history. Deities are not simply divine energies but they are also representations of philosophy. Each deity is a literation of a concept. For example, Shango, the spiritual embodiment of thunder, is also a historic reading of an African philosophy of social justice. Oya, of tornadoes and protector of women, provides a reading of how feminism was viewed in ancient Africa. And if you want to know about self-love practices in historical Africa, read Oshun (which by the way is why Oshun in particular has been so popular of late, as the concept of self-love has been trending — for better or worse, I might add). That’s it. Of course a lot more can be said about African spirituality. I have written about witchcraft, Yoruba spirituality in the US, Orishas, my religious roots and needless to say there are a great deal of on- and offline resources. Let me also add that there are similarities between African spirituality and other religions, for example, in how taboos are prominent. Furthermore, as someone who always chooses a scientific approach where one is available, I also take a critical outlook on elements of African spiritual life as I do of all other forms of religion. The spiritual world is, however, not a world to be read altogether scientifically, that precisely is its beauty, although the forgoing of a scientific approach should be a conscious choice to revel in myth and soul. Last but not least, because of the orality of its history, there is a malleability to African mythology. So the above is my interpretation from a combination of readings and may not be identical to another person’s rendition. Please let me know if there is something I haven’t covered that you would like my take on. Hi! I’m a writer, blogger, columnist, lecturer and speaker and the founder of the feminist blog, MsAfropolitan, which connects feminism to contemporary culture from an Africa-centred perspective. I’ve been listed alongside Michelle Obama and Angelina Jolie as one of “twelve women changing the world” by ELLE and my blog is used as a resource at universities around the world. Want to know more? Sign up to receive new posts directly in your inbox. Writer, feminist blogger & social commentator. Author of the MsAfropolitan website. Debut book SENSUOUS KNOWLEDGE coming in 2019 from Zed/Harper Collins 2019.